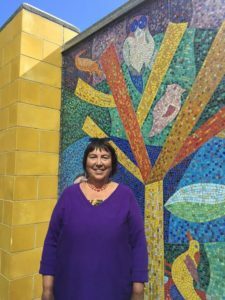 Cindy pointed out that her perspective is not that of a pricing professional, but reflects her experiences as a professional mosaic artist. Mosaic making is a very hard way to earn a living. It can be useful to write a business plan for your business, but you need to be very proactive about marketing yourself and getting work. And since mosaics are so labor intensive, you cannot expect to make the same hourly rate as a painter might, for example. 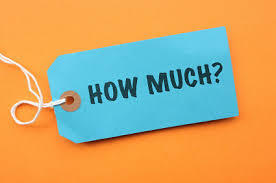 There are many things to consider when pricing your mosaic art. Log ALL your time from sketch to completion, including time with client, purchasing materials, etc. Direct cost of materials per square foot: substrate, material, adhesive, grout, sticky paper, use of tools, etc. Your goal is to pass on your costs for the project. Ask your accountant if you have questions about how to account for some of the costs if you aren’t sure. Shipping costs should be kept separate and charged separately. Make sure you tell the client that this will be a separate and additional cost. (If you make shipping containers, you should not be charging your artist fee for that). Not all your hours as a small business owner are billable. Subjective, depends on location, demographics, size of selling environment, etc. You could do the reverse and think FIRST about how much the market will bear and then design/create your work around those limitations. Learn what market prices are for the types of work you do. 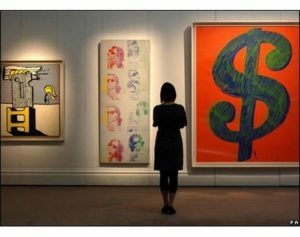 Galleries: 50:50 is standard ratio of distribution of money received on artwork. This means you have to price your work at double the price you already established (which, because it’s a mosaic, is high by comparison with painting, etc.) Make sure to double your materials costs as well. Thus it’s hard to put mosaics in galleries and have them be affordable. Remember that you should charge as close as you possibly CAN to the real price. 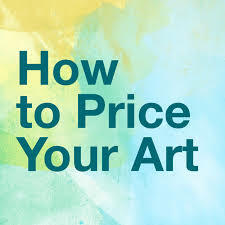 If you undercharge, it hurts the art community at large because good artists who price based on real costs won’t be able to sell by comparison with what you charge. Establish a first payment in case you don’t complete the job. (eg., the whole cost will be $3000, and the initial payment will be $300, which includes certain deliverables). Really important to tell your customers what goes into your pricing so they understand, before you even get to the selling price. Try to be flexible about what you do (e.g., fill only part of the allotted space to save the client some money; use paint for the background, etc). You can also sell prints of your mosaics, etc., if you want to sell something at a lower cost. Can be helpful if you are trying to make a living. Of course a print sacrifices lose some of what makes mosaics special (e.g., 3D, light reflection). Advice from the audience: Create a contract that spells out what you will do, as specifically as possible, and what’s included. Anything outside that is out of scope and requires renegotiation. 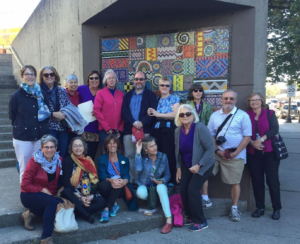 One of the most popular events was a walking tour of mosaics of Boston’s Southend led by Lisa Houck and Suzanne Owayda. 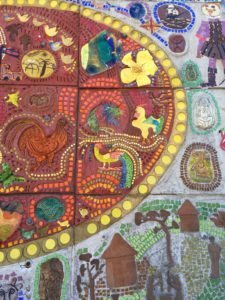 In case you missed it, here are the details on each mosaic, complete with Google Map links so you can go on your own tour anytime you like. 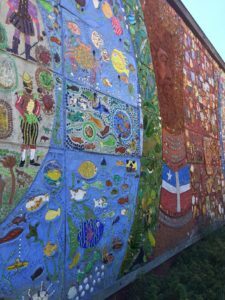 Enjoy these unique and beautiful mosaics of Boston’s South End! 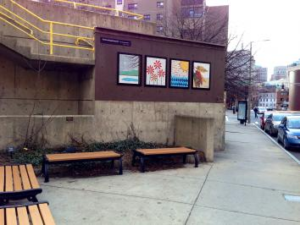 The Villa Victoria housing community was founded in the early 1970s, when a group of South End residents, most of Puerto Rican descent, lobbied to maintain their community in the South End despite widespread gentrification and redevelopment of the area. After its completion in the mid-1970s, Villa Victoria was hailed as an unusually successful housing complex, thanks to its desirable living spaces and close-knit, active community. Residents founded and participated in a variety of programs including tutoring, gardening, and operating a closed-circuit television channel. Byzantine-style mosaic made of smalti; fabricators and date completed unknown. Byzantine medieval art began in the mid 1400s with mosaics decorating the walls and domes of churches, as well fresco wall-paintings. This approach was taken up in Italy, especially in Rome and Ravenna. A less public art form in Constantinople was the icon (from the Greek word ‘eikon’ meaning ‘image’): holy images made with encaustic wax paint on portable wooden panels, which were developed in the monasteries of the Eastern Roman Church. Icons were filled with symbols and flat areas of color and didn’t try to be realistic. St. John the Baptist church was designed in 1861-62 by N.J. Bradlee. It was originally a Unitarian Church where Edward Everett Hale—an abolitionist preacher who wrote Man Without a Country—preached. At the turn of the century, the building became Temple Ohabei Shalom, which served the Jewish community until 1929. Since then it has been the St. John the Baptist Hellenic (Greek) Orthodox Church. 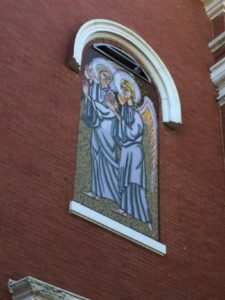 The center mosaic depicts St. John baptizing Christ. The hand of God and the dove are important symbols. These depict the Holy Trinity: God, Jesus, and the Holy Spirit, which is represented by the dove. The inscription says “The Baptism” in Greek. The two side panels depict angels. LandWave is located on the southeast edge of Peters Park on a linear strip of land between the baseball field and the Washington Street sidewalk. 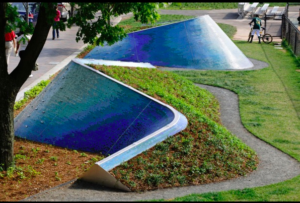 The installation commemorates the historical location of the very thin neck of land that once connected the Shawmut Peninsula to the mainland. 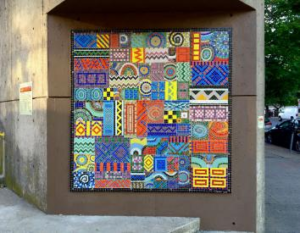 Community Fabric is comprised of sixty unique hand-cut glass tile panels and designed to simulate a stitched fabric quilt. 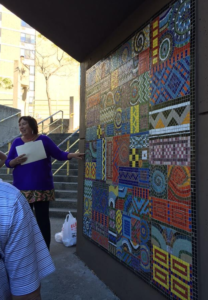 The mosaic “fabric” represents the stitching together of many different a spects of our community into one. 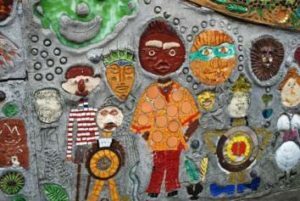 While diversity is a key theme of the mural, the core message is unity. 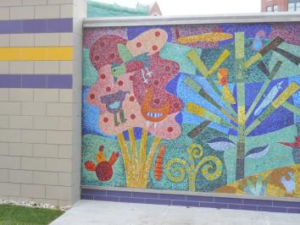 Christos Hamawi completed several of the more complex mosaic panels in his studio and collaborated on the construction of the remaining panels with over 150 students from the Josiah Quincy Elementary School. Most students worked in teams, guided by Christos in the entire mosaic creation process, and taught about the history of mosaics. Students followed a detailed design guide crafted by the artist and were challenged to interpret the designs and color schemes as closely as possible using the available mosaic materials. Christos then combined all sixty panels together as one. Christos Hamawi’s influences include ancient Greek, Roman, and Moorish mosaics, as well as ceramics. He is also very interested in Iznik ceramics which he saw in Istanbul. He has traveled to Greece, Italy, Croatia, Turkey, and Spain and has found inspiration in all of these places.